Anyone who has thought about starting their own business may find it easy to dream about earning profits and the luxury of being their own boss; however there are a lot of things to consider as you’re getting started. While many people are aware of some of the common costs associated with starting a small business, including hiring staff, renting or buying equipment, and advertising, there are also a lot of other things to think about when you’re getting started, and one of them is your infrastructure. Unless you had a building constructed to host your new business or had to incur installation costs right from the start you might not think about some of the contractors you want to have on speed dial until you have an emergency and need them. When your infrastructure or equipment break down it can cost you operating hours and a lot of money, both in repair costs and lost revenue. Planning ahead and forming business relationships with reliable contractors in your area can help you keep your business open and operating safely and effectively. Whether you need to install services before you open your business or respond to maintenance and repair needs that occur, if you own your building or have a lease that requires you to cover repair costs you will need to have reputable companies you can turn to for your structural needs. A plunger may be all you need to fix a clogged toilet sometimes, but leaking pipes, corrosion from old pipes and serious blockages may all need to be addressed by plumbing experts. When you have plumbing problems you want to be sure that you hire professional and reliable plumbing services so that you avoid prolonged workplace disruptions. You should also be aware of regulations for plumbers to ensure that you are hiring those with the skills and qualifications needed to address your specific needs. Getting the best plumbing services possible means taking the time to research requirements and options so that you don’t compound a plumbing problem with inadequate repairs. Heating, ventilation and air conditioning technicians are specifically trained to look after things like furnaces and air conditioning systems. Some are also trained to install and repair refrigeration units, which are used by restaurants, hotels and other companies that need to store food or materials that must be kept cold or frozen, such as medications. Some plumbing companies also offer HVAC services, so it may be possible for you to contract your maintenance and repairs through the same company that handles your plumbing needs; however, some businesses may need to have their services provided by a commercial hvac contractor who is experienced with installing larger units capable of handling demands for your business. Businesses face specific challenges that residences do not have to contend with; many are in larger buildings, may have more open space, and may have regular traffic flow from outside that affects the airflow inside their building space. It is important to research your specific needs when deciding who to contract for these services. 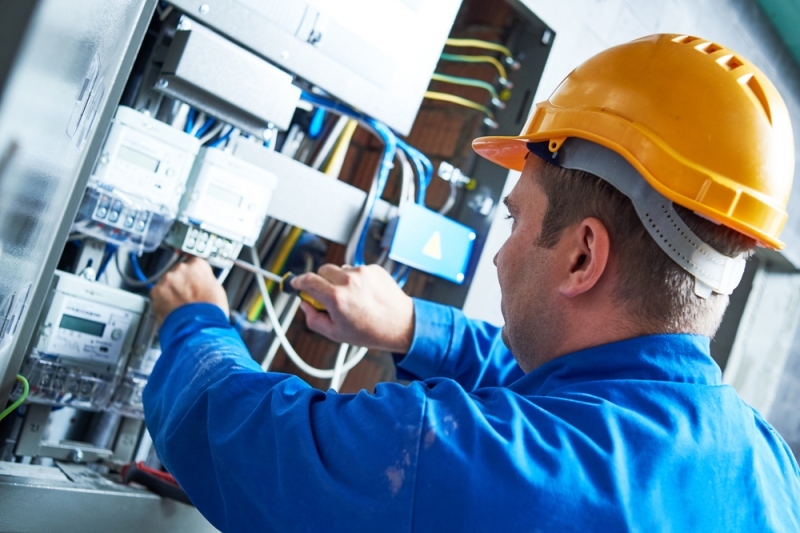 When there are problems with your wiring or when you need to have fixtures and outlets installed you want to be sure to your needs are met by electrical services professionals with the skills and training to perform effective repairs or installations quickly. It’s also important to consider that electrical needs aren’t simply related to repairs or installing lights. Without electricity your business will be shut down so installing a generator may be a necessity, particularly if you’re located in an area that experiences regular power outages due to extreme weather conditions. Electrical companies can not only install generators; they can also provide maintenance services so that you can be confident you’re ready to keep your doors open and are less likely to be affected by unexpected electrical problems. Some businesses need to have areas that meet specific operating needs. Company that conduct research on medications, constructs airplanes, manufactures medical equipment, or produces military equipment all need to maintain environmentally controlled spaces for their operations. Hiring a professional clean room construction company to design and install a clean room for your business needs can ensure that your business meets operational standards from the start. Regulations may require clean rooms to be inspected and certified as much as one time per year. Working with a reliable company from the start can ensure that your ongoing filtration needs are met and they can also recertify your clean room as often as required. One way that you can save money when you’re starting a business is by acquiring used equipment. While this may make it easier to cover initial expenses, it also means that your business will incur the costs of repairs and replacement sooner. It’s a good idea to anticipate typical repair or replacement times for your infrastructure and equipment in order to prevent unexpected delays due to a break down. For example, a company laptop will need to be replaced every 2 to 3 years. This will ensure that your business can effectively run the latest software. Not all business owners are responsible for structural repairs. When a wiring problem requires an electrician to perform repairs the cost may fall to the building owner if you lease. There are several things to consider before you sign your lease and it’s important to clarify who pays what so that you know exactly what to expect in the future. Business owners may have a single net, double net, triple net or full service lease. The specific type of lease will identify how much the business will pay in rent and any other expenses that they may be responsible for. In some cases, business owners are required to pay property taxes on the rental location. Costs for repairs, maintenance and insurance are all up for negotiation when you’re finalizing a lease. While it may seem ideal at first to have your landlord cover the bulk of the building costs, this may mean that you are required to pay a much higher rate in rent. It’s also important to note that even if you have a lease that obligates the landlord to cover structural repair costs, that may not include costs for things such as HVAC or plumbing repairs. It is important to be certain that you understand exactly what operating costs you will incur before signing a lease so that you aren’t caught by surprise. It should also be noted that what is considered wear and tear is typically a cost the building owner incurs. This is where a landlord and tenant may end up in dispute without clearly defined terms in their lease. Water pipes wear down over time; how to determine if a problem with the pipes or another plumbing or electrical system is normal wear and tear must be clarified to avoid confusion and conflict later. When a landlord is responsible for structure repair costs you may be required to go through them to make arrangements for repairs. In the event that a water pipe starts leaking you may be required to call the building management and wait for them to respond. This means that you may not be able to respond to an emergency as quickly as you would like, and, depending on the nature of the problem, you may be required to close until repairs are made. When building management covers the cost of repairs they will also determine which companies are called in to provide services. They may have long-term contracts in place that prevent them from switching contractors and any issues with the contractors will have to be handled by building management. I you have repairs completed without authorization from your landlord and you may be required to pay all of the repair costs.